With so much jargon out there it’s hard to know which suncare products are best for your needs. We’ve pulled together a handy guide to SPF’s to help you out, including an SPF calculator and myth-buster… you may be surprised at a few of the answers! SPF stands for Sun Protection Factor and it’s what protects your skin from burning from UVB rays. The higher the SPF the longer you will be protected for in the sun. For example if you usually burn after 10 minutes in the sun without sunscreen, wearing an SPF30 will protect you for up to 300 minutes, or 5 hours. Many people confuse SPF with UVA and UVB. UVB rays are short-wave solar waves that can cause sunburn and contributes to the development of skin cancer. UVA rays are long-wave solar waves that penetrate the skin deeply, and UVA is known to play a major part in skin ageing and wrinkling. 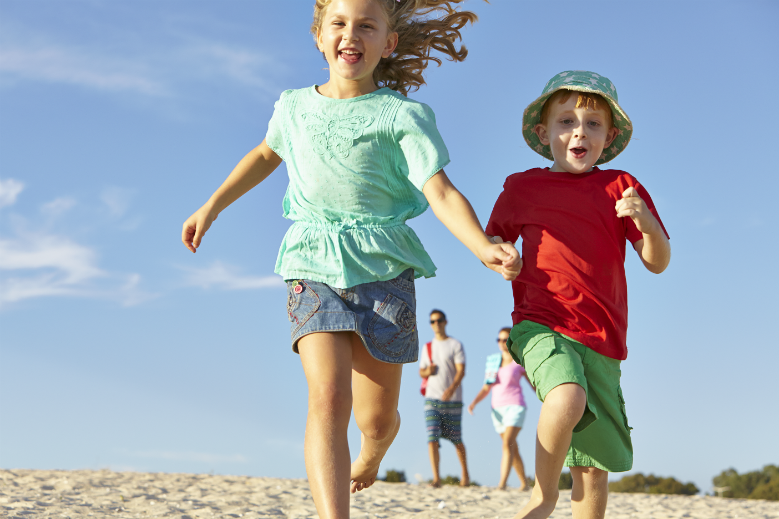 The new Wilko suncare range takes the stress out of buying your family’s sun protection. It has been awarded a maximum five-star rating against skin damage caused by UVA rays, so you can be reassured that you are getting the best protection available. You may be surprised at some of the answers to common myths, try testing your family or friends and see how savvy they are in the sun! FALSE! You will still get a tan if you use SPF50, it will just take longer to get it, but it will be a safer and healthier tan. Remember that every case of sunburn damages your skin permanently and increases your risk of skin cancer in the future. FALSE! A high percentage of the UV light we receive while sitting under a tree or an umbrella is indirect. We can only rely on deep shade (where we cannot see the sky and no UV penetrates) to offer an accurate complete protection. FALSE! You can still get burnt as the UVA and UVB rays can penetrate through the clouds. FALSE! Oil still contains SPF, and therefore contains the same level of protection as a sun lotion or spray. TRUE! As long as it is within the use by date specified on the pack. FALSE! Aftersun does not repair your skin, it will however moisturise it to help repair itself. FALSE! It simply gives the sun protection of the stronger two, in this case SPF30. FALSE! The SPF you apply first multiplied with your natural sun protection will be the amount of time you can stay in the sun with protection. TRUE! The UV filters in the sun lotions can sometimes leave yellow marks on your clothes. FALSE! One 200ml bottle contains 6 applications for an average adult body size when applied as directed on the packaging. FALSE! Reapply every 1-2 hours to maintain sun protection and always after swimming, showering, perspiring or towelling. TRUE! The ultraviolet rays from the sun damage the top layer of skin and kills skin cells whilst also drying out your skin. Once the skin has re-built new layers under the damaged skin, the top layer peels to expose the new layer.